What is a budget? 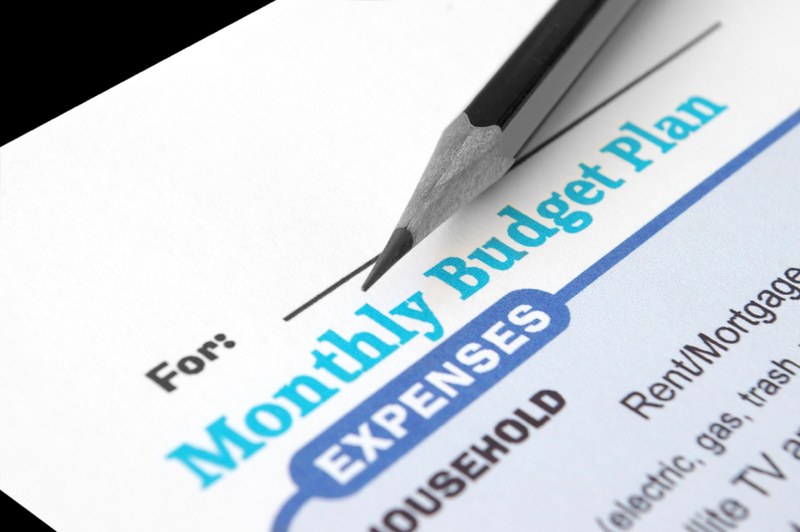 Simply put, a budget is a monthly spending plan for your money. Budgeting made simple, fixed versus variable expenses: Even more simply put, it is a spending plan for your expenses that are not fixed. Fixed expenses are things that stay the same each month. For example, your rent and mortgage amount is the same every month. Utilities, cable and cell phone bills are often pretty much the same from month to month. Non-fixed or variable expenses are those that can vary quite a bit each month, such as eating out at restaurants, shopping for clothing other things, entertainment, gifts, and vacations. Simple but not easy: That phrase has always been an inside joke in our house. It seems as if fixing things on the car or house if you are a handyman can require many trips to the hardware store. My son reminded me of this family expression once when I was being frustrated while replacing a battery in my car. It was a rather simple procedure, but little things kept breaking, or I needed a little different tool. Several trips and half a Saturday later, my son reminded me–yep, simple but not easy. Budgeting is kind of the same way. It is fairly simple to follow the steps I will cover in a moment, but it is something altogether different to learn to live within the budget and to track spending along the way. Make a pile: Gather your bills, purchase receipts, ATM receipts, credit card statements, and checking account statements. Organize your pile into months so that you can sort them. Estimate your monthly expenses by looking at the information you have organized. This is an educated guess for your variable expenses, but that is okay to get started. Add up your expenses. You can either use paper and pencil or a spreadsheet, like the one we created for your use. The free online, massively popular Mint.com is used by many to track spending. Get this Excel document for Mint. This document is an easy way for you to estimate what you think you are spending. This works well for your first attempt to design a budget, and it has many of these instructions built into it. If you have an eFinPLAN account, it has a simple monthly budget estimator too. Compare expenses to your income. This spreadsheet will automatically add up your expenses and compare them to your income. If you are at a deficit (spend more money than you make), then you can easily identify where you are overspending, and therefore where you need to cut back. What to do with disposable income. If your income exceeds you expenses, now is the time to make strategic financial plans. Evaluate the deficiencies in your financial plan. You might need to eliminate debt, save for emergencies or car replacements, or invest for the long-term, for example, for retirement. If you have no savings, the first thing you should do is to save money for rainy days. Your car will break down, you house will need repairs, and every now and then it will not be for a small amount. If you have not set aside money for this, you most likely will have to borrow it or use a high interest credit card. If you already have debt you need to eliminate, many experts recommend accumulating $1,000 before paying off all your debt. Once your non-mortgage debt is eliminated, save 6 to 9 months of expenses. Having this cushion will help you weather storms such as job loss or an expensive health care bill. The most important step to cash flow planning is to track your spending so that you spend within the limits you have set for yourself. This can be done with paper and pencil, a spreadsheet, software or an app such as Mint.com. With the Excel document described and linked in this article, you can set up your Mint account very well to begin with and track spending on your PC or Smartphone from now on. In summary, this article describes quite well what a budget is and how to get started. Other articles here outline how to follow and stay on budget for the long term. Budgeting or cash flow planning is foundational work, for your financial planning.